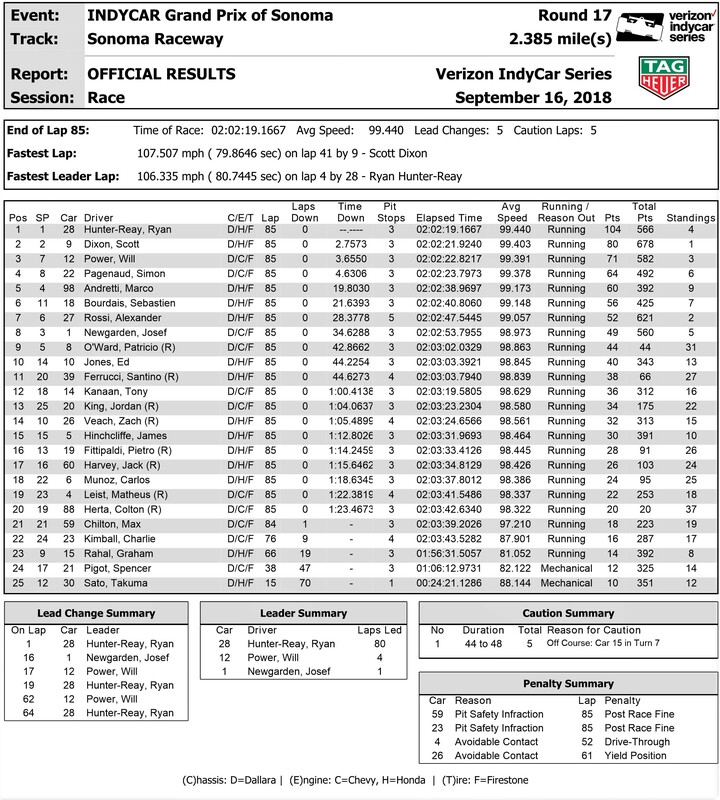 SONOMA, California (Sunday, Sept. 16, 2018) – Ryan Hunter-Reay knew what he had to do to win the INDYCAR Grand Prix of Sonoma. Scott Dixon knew what was needed to wrap up a fifth Verizon IndyCar Series championship. Mission accomplished on both fronts. Hunter-Reay led 80 of 85 laps at Sonoma Raceway in a commanding performance to win the 2018 season finale from the pole position. Dixon started second and finished there, which was more than enough to secure the season crown. Dixon entered the race with a 29-point lead, knowing he essentially only had to finish ahead of second-place Alexander Rossi in the double-points race. 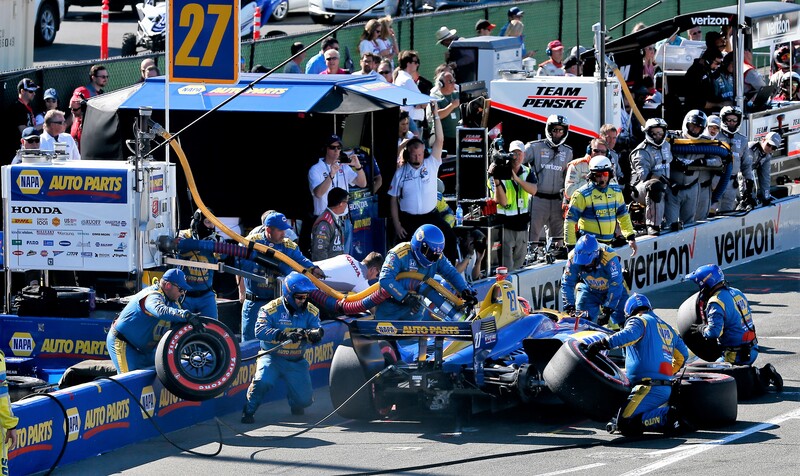 When Rossi damaged the front wing on his car and punctured a tire in first-lap contact with teammate Marco Andretti, it tipped the scales clearly in Dixon’s favor. From there, the driver of the No. 9 PNC Bank Chip Ganassi Racing Honda was content to trail Hunter-Reay and bring home the crown that earned Dixon another Astor Cup and $1 million prize. “The whole race I was thinking about things that were out of our control, cautions that were going to flip the field,” said Dixon, whose 44 race wins rank third in Indy car history. “None of that happened. With the achievement, Dixon moved ahead of Mario Andretti, Sebastien Bourdais and Dario Franchitti – each of whom has four titles. All of Dixon’s championships have come in his 17 seasons with Chip Ganassi Racing, which laid claim to its 12th Indy car driver’s title. “He’s the guy on the track, off the track,” team owner Chip Ganassi said of Dixon. “If you take a piece of stone, inject some brains into it, chisel it out, it’s Scott Dixon. He’s just the man. Rossi dropped to lastplace in the 25-car field following the Lap 1 incident. But much like the Andretti Autosport driver did all season, he charged back in the No. 27 NAPA AUTO PARTS Honda to finish seventh. It left the 26-year-old Californian 57 points short of Dixon in the quest for his first series championship. “It was unfortunate because I thought we got a good start,” Rossi said of the contact with Andretti heading up the hill in Turn 1. “Just two cars going for the same spot type of thing. Hunter-Reay commanded the race on the 2.385-mile, 12-turn Sonoma Raceway road course from the outset, surrendering the lead briefly through pit stop cycles. When the driver of the No. 28 DHL Honda crossed the finish line, he collected the 18th win of an Indy car career that began in 2003. It moved the Andretti Autosport driver into sole possession of 26th place on the all-time Indy car wins list. 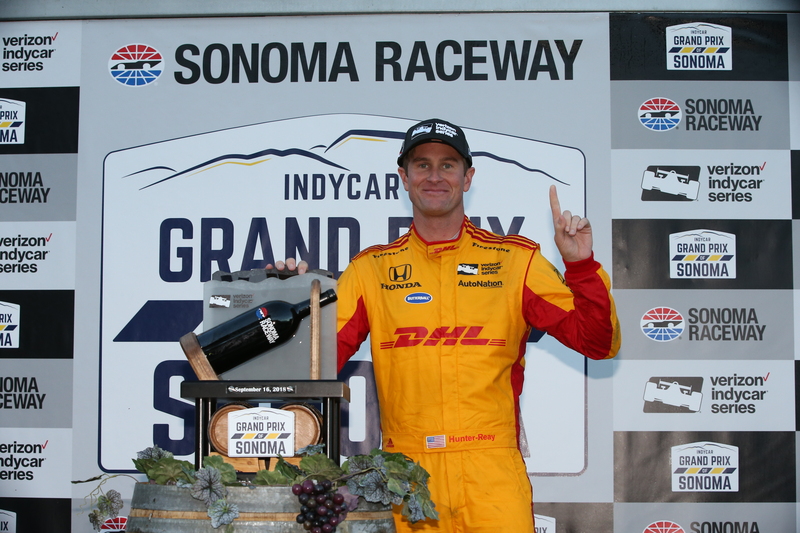 “It was nice to go from pole(to) win, lead the most laps, the whole thing,” Hunter-Reay said. “That’s an ideal race. May not be the most exciting thing for the fans at times, but from a race car driver’s point of view, team owner, race team, it’s the ideal race. Hunter-Reay won by 2.7573 seconds over Dixon. Will Power finished third in the No. 12 Verizon Team Penske Chevrolet to secure third in the point standings. Hunter-Reay ended up fourth in the championship, with Josef Newgarden fifth following his eighth-place race finish. Patricio O’Ward, the newly crowned Indy Lights presented by Cooper Tires making his IndyCar Series debut, was one of eight rookies in the field and finished ninth in the No. 8 Harding Group Chevrolet. The 2019 IndyCar Series season will again consist of 17 races, opening for the 9th straight year with the Firestone Grand Prix of St. Petersburg on March 10. The schedule includes a visit to a new track, Circuit of the Americas in Austin, Texas, on March 24; season finale at WeatherTech Raceway Laguna Seca near Monterey, California, on Sept. 22; and anchored by the 103rd Indianapolis 500 on May 26.